If you are like most brides, you are extremely busy! Busy as you are, shopping for your wedding is a must. 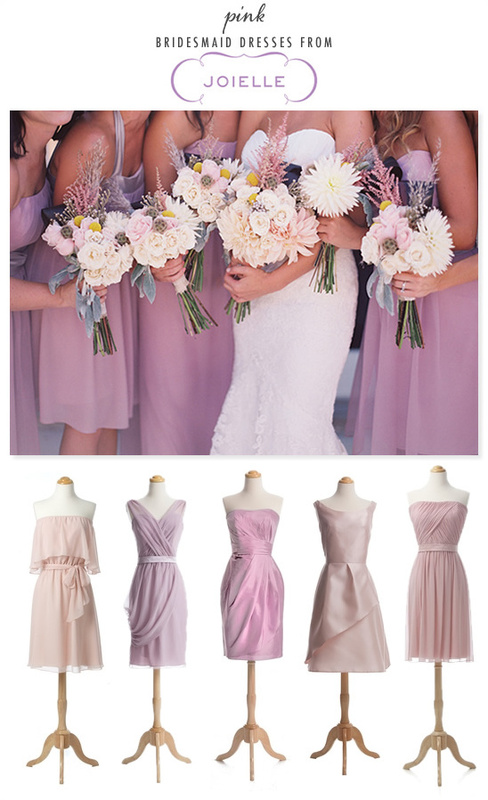 Especially for your bridesmaids, they have to look cute too. Since you are busy, and you may even have a wedding party that is divided by location, shopping for those bridesmaids may be difficult. Lucky for you, Joielle was created to design a boutique feeling for online wedding-related shopping. You can send all your bridesmaids to one location and ensure they will have an easy wonderful experience. There are so many wonderful aspects to Joielle including their "Track Bridal Party Status." This service allows brides access to monitor their bridal party's orders, including who has placed their orders so far and the status of the dresses in production. Until next Tuesday, March 26th use code CHICKS10 for a 10% site-wide discount. Joielle also has a sample loaner program for select styles, which can be kept for up to 7 days and include a pre-paid return label to make things even easier on you. They aim to provide high-quality products at affordable prices for budget-savvy consumers who don’t want to break the bank to have or attend a wedding or special event. Besides loaner dresses they also have loaner swatch cards to help you pick out that perfect color. 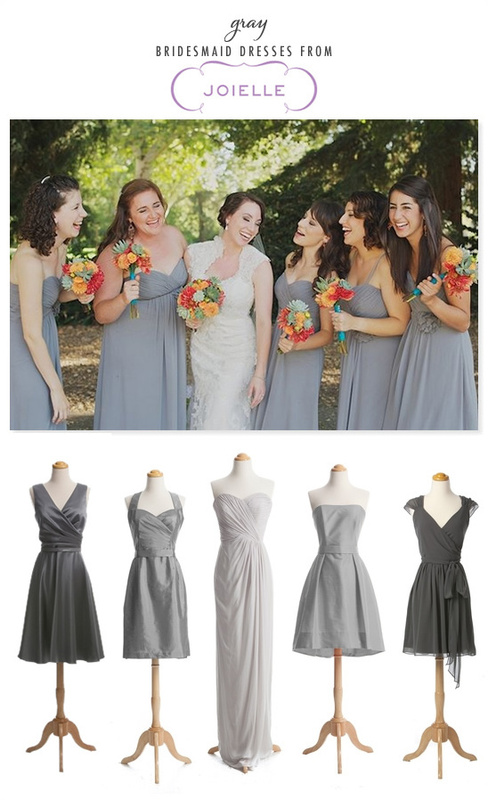 To ensure everything matches perfect you can contact Joielle ahead of time so that all your bridesmaid dresses are cut, dyed, and manufactured together. Cream Bridesmaid Dresses Photographed by Sweet Little Photographs. 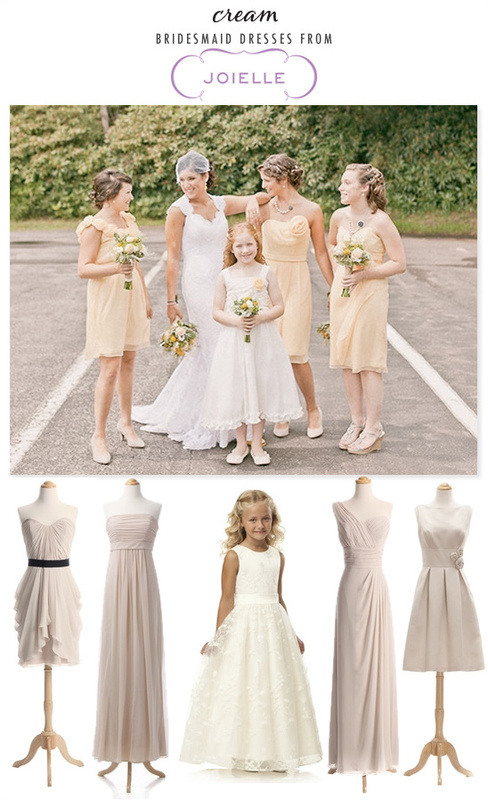 Rose Watters Dress, Ruched Strapless Empire Gown from Dessy, Watters Tulip Dress Watters Violet Dress, Flower Girl Dress, Bateau Duchess Satin Dress with Flower Detail.